Would Someone Drive Farther For YOU? 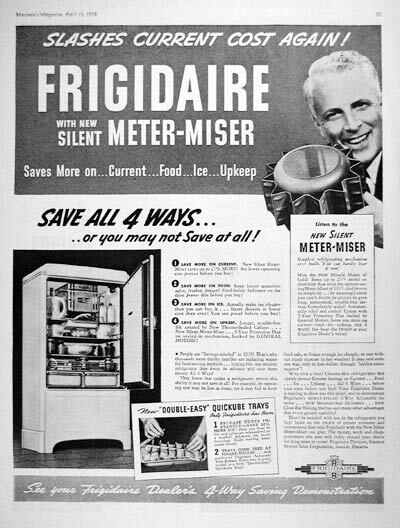 When my “extra” refrigerator in the laundry room needed to be replaced, I knew I didn’t want to spend much on a new one so I did a lot of research and comparison shopping. I found the company where I would get my refrigerator, but I disliked the salesperson at the store a few blocks from me, so I put off the purchase for months. I even checked back a few times, but nope, he hadn’t improved! When I finally decided to make the purchase, I drove a considerable distance farther and was willing to pay more if the less expensive item wasn’t in stock, just to avoid the salesperson I didn’t like. Fortunately, I found a product I liked at a very low price and the salesperson was perfect. I’ve already sent a thank you note to the store manager. That experience made me think about how each of us are salespeople for something–or we should be. Would someone drive farther to do business with you or would they drive farther to avoid doing business with you? *Do you make them feel like an interruption or like a valued person you want to assist? *Are you nicely groomed, pleasant, smiling and helpful? *Are you dependable, so if you say you’ll have something done at a particular time, you do? *Do you answer their questions in a way that is respectful and helpful, even if perhaps they don’t quite understand the subject as well as you? *Do you greet them, talk to them and say goodbye to them in a way that gives them a good feeling about you and about themselves? *Are you a top salesperson for yourself, your work, your section or unit and your organization? 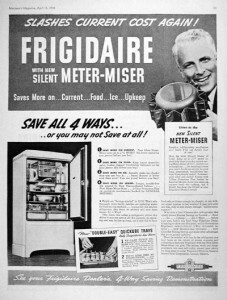 You don’t have to be so glib and smooth talking that you can sell a refrigerator to an Eskimo, as the old saying goes. But, you should be the kind of person with whom people enjoy working and communicating. A good goal is to make them feel better just because they’ve been around you. Your customers and clients may not be able to drive farther to get away from you if you’re the only resource for them. But, you’ll never be as effective or successful as you want to be and you’ll never get the cooperation and assistance you want, if most people would do almost anything to avoid you. Promise yourself to make a few sales tomorrow! Hello Ms. Rowe. Thank you for the information you provided about dealing with a problem employee. We started last week with the first step, which was much easier than we ever thought it would be. Today she did one small thing and I said I thought we talked about that last week. She looked startled and was quiet. Since then she hasn’t done one of the things she usually does all the time. I kno w it’s not going to happen that easy all the way, but my senior manager and I are really hopeful. Hi Tina! You ought to get the joke about my user name! It was a great class last week to the ALERT group. I needed the peptalk! This article is perfect for a couple of people I supervise, so I’m going to use it in a training with them. Thank you for everything. I drove an hour to NOT have to deal with the owner of a business in our small town. He asked me why I took my business out of town and I told him it was because he was so unpleasant to do business with. He said I should have told him to shove it, but not punish his family by not doing business with him. I told him it wasn’t my job to improve his behavior or take care of his family. I could tell that he doesn’t get it and he isn’t going to change. I’m starting to think you’re a mind reader! We just had a TrainingTalk about this and I made the point you did about making people feel better for having talked to us, even if we can’t do everything they want. Most of the time, our callers or visitors are very pleasant, so there is no reason at all for our employees to be anything but courteous. Fortunately, we have maintained a strong approach to retaining only those employees who sell us and themselves in the best way. I’m going to use your phrase, “Make a few sales today!” in our customer service newsletter. Have a great week! The problem with rude employees in most places is that they collect the same paycheck for being rude to coworkers and even customers as they would if they were easy to work with. I don’t know how you do it, but every time you post something, it’s valuable and worth-the read.